Visual cortical simple cells have been experimentally shown to reveal non-trivial spatio-temporal orientation tuning functions comprising different phases of specifically tuned enhanced and suppressed activity. 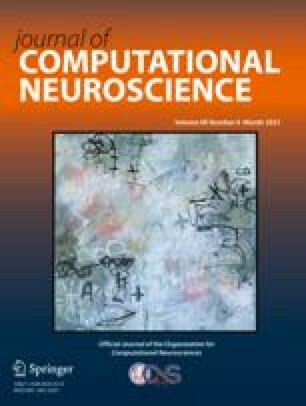 A recently developed analytical method based on nonlinear neural field models suggests that such space-time responses should be approximately separable into a sum of temporally amplitude modulated Gaussian spatial components. In the present work, we investigate this possibility by means of numerical fits of sums of Gaussians to response functions observed in experiments and computer simulations. Because the theory relates each single component to a particular connectivity kernel between the underlying cell classes shaping the response, the relative contribution of feedforward and cortex-intrinsical excitatory and inhibitory feedback mechanisms to single cell tuning can be approached and quantified in experimental data.